Add a modern edge to your dining experience. 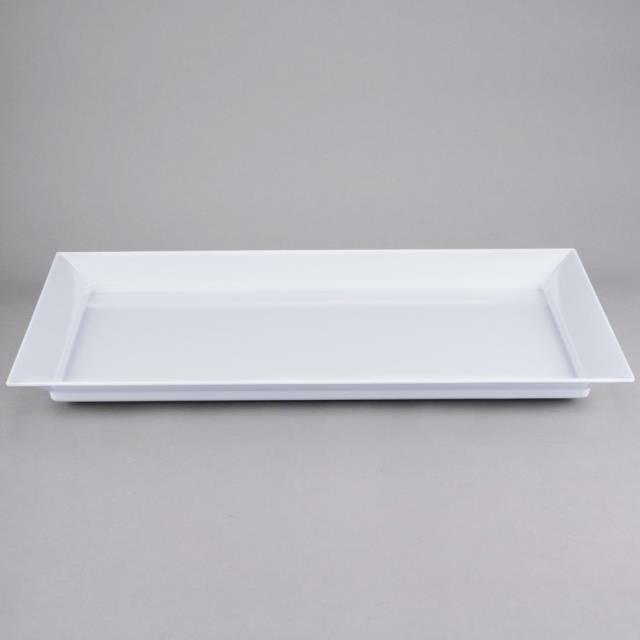 It's perfect for serving appetizers, sandwiches, or snacks at your family-friendly establishment, with its durable, break-resistant melamine construction. 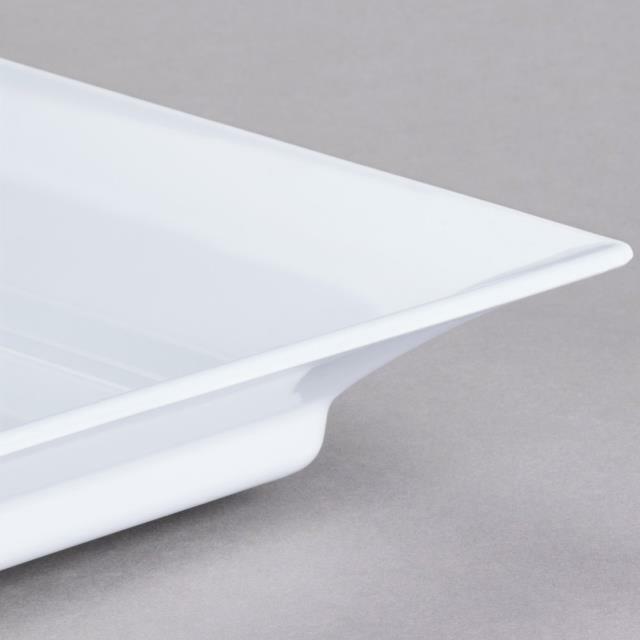 * Please call us for any questions on our platter 26 inch x 18 inch white melamine rentals in Tacoma, Lacey WA, Olympia and the South Sound Metro area.